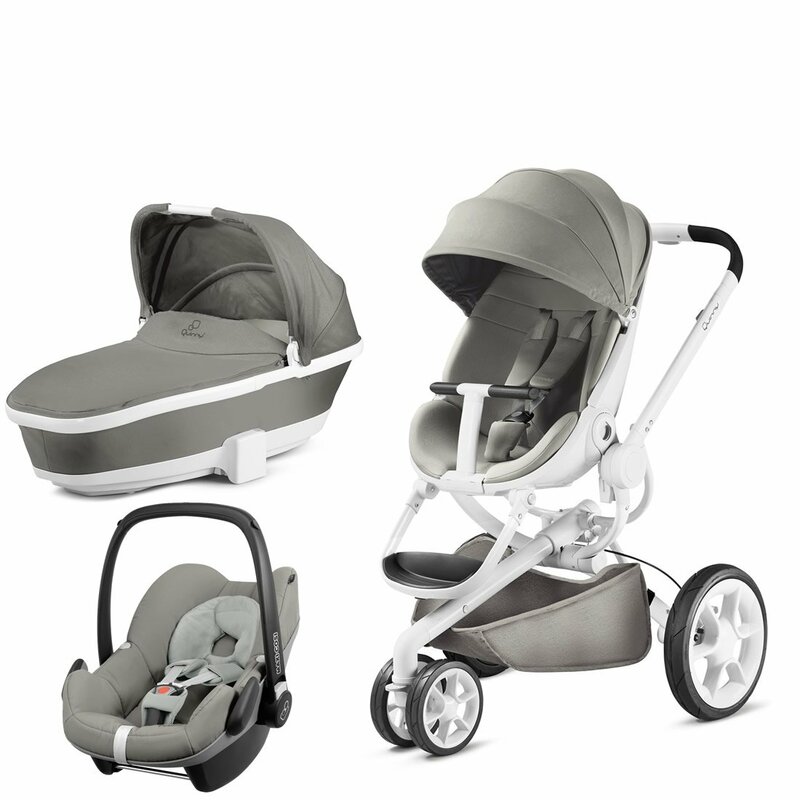 Quinny Moodd with Carrycot Grey Gravel and Pebble Grey Gravel Suitable from birth to 15 kg (approx. 3.5 years). Easy to fold and automatic unfolding frame. Reversible seat unit with 3 recline position (including lie-flat options for newborns).With the Maxi-Cosi Pebble baby car seat, you can bring your baby home comfortably and safely. Suitable from birth to 15 kg (approx. 3.5 years). Easy to fold and automatic unfolding frame. Reversible seat unit with 3 recline position (including lie-flat options for newborns). With the Maxi-Cosi Pebble baby car seat, you can bring your baby home comfortably and safely.